This weekend was such beautiful weather... During the day, the temperature was consistently in the mid 50s and sunny - lovely December weather, if you ask me! Although the sun has been shining, the wind has been terrible!! 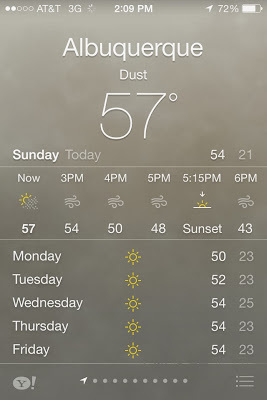 Look at yesterday's forecast... Dust? 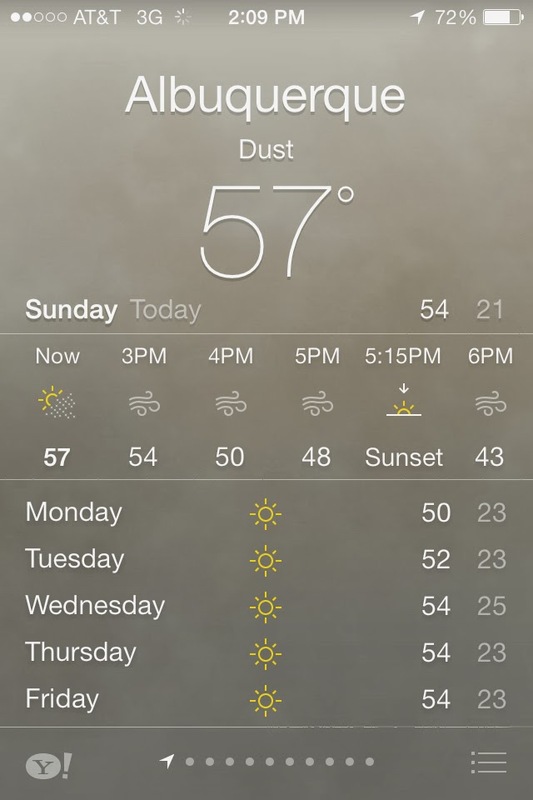 I didn't know dust was a type of weather... Either way, I'll go with it if it means the temperature can be in the 50s. On Saturday, the majority of our morning was spent getting work done on our cars. To me, this is the ultimate mark of adulthood. What a sad way to spend money! John refers to his car as his horse (? 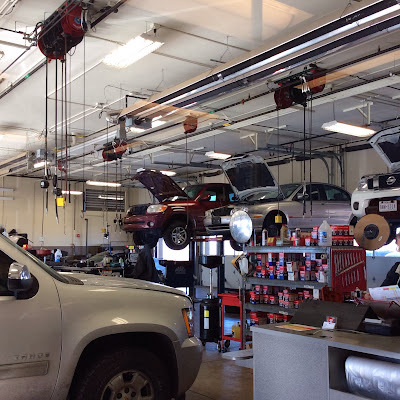 ), so he doesn't have as much problem putting money into vehicle maintenance, but for me, it is just depressing!! After getting our cars all spiffed up, I enjoyed a long trip to Hobby Lobby. John headed to his mom's house to study with Scout (she has a large fenced yard that quail frequent in the evening... Every puppy bird dog's dream!! Although Scout got into a bunch of bird seed and hasn't seemed too comfortable since...). After Hobby Lobby, John's mom and I did a little crafting while watching some figure skating... Is anyone else excited for the Winter Olympics?! John worked for most of the evening on Saturday and Sunday. We have company coming into town this weekend, and he is trying to get ahead in his work load. With his little free time, he is planning every second of our time together with Jameson and Val... He wrote a very detailed itinerary with pictures, maps, and more for our days together (a very clear indication that he is excited to see them!). 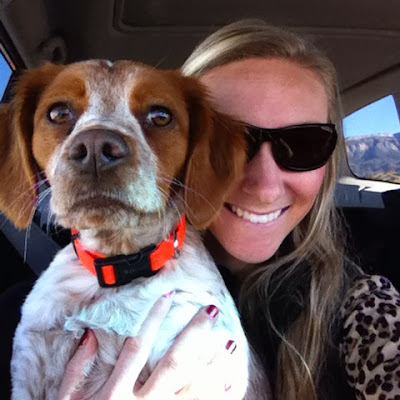 LOVED the warmer weather this weekend as well! We're supposed to have it today and tomorrow and then back to cold - boo! I know exactly how you feel about dishing out money to get your car fixed. ugh! Wouldn't it be so much better to spend that kind of money on a nice pair of heels? haha! Oh well, I guess it's part of adulthood--the crappy part of adulthood if you ask me. haha! I LOVED seeing the sun this weekend, since it feels like it has been forever. I'm SUPER pumped for winter olympics good call prepping by watching some ice skating. Hobby Lobby is seriously like my favorite place EVER! I'm slightly jealous of the weather you had (ok a lot jealous!) I bet you guys are going to have a phenomenal weekend with your guests! !